Some of the finest wildlife art around. Alan's animal art is truly inspirational. Wildlife Artist Alan M Hunt is three times winner at the David Shepherd Wildlife Artist of the Year Exhibition 2018 with his phenomenal animal art. Alan paints in a photo-realism, fine art style using acrylic. Alan M Hunt paints on both canvas and Masonite. Follow the link to view more of Alan's phenominal wildlife art. Tigers are my favourites of all the big cats. See more big cat paintings. 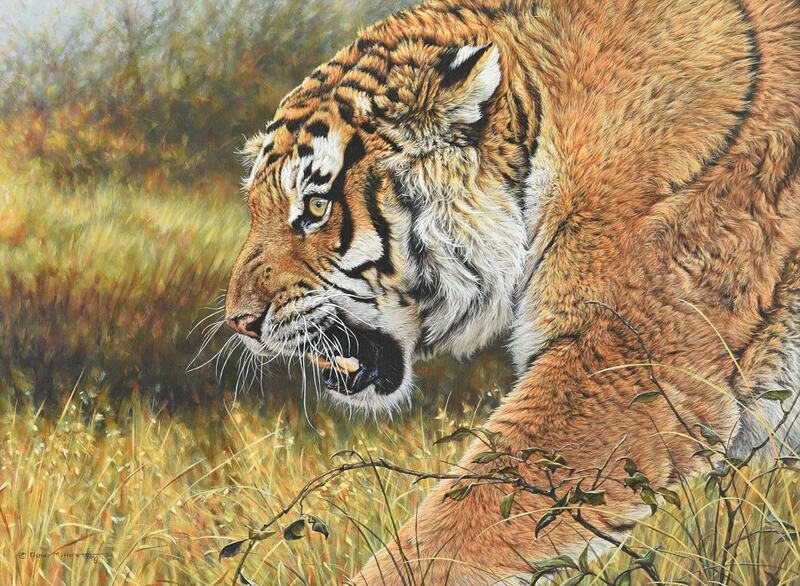 View Alan M Hunt's remarkable big cat paintings or perhaps purchase a copy of his new big cat calendar for 2019.